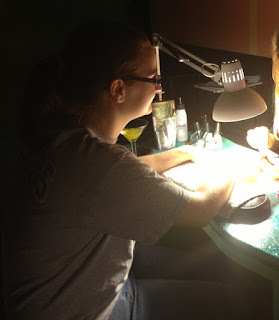 Looking for a fun girl's night out? I have a great suggestion for you! 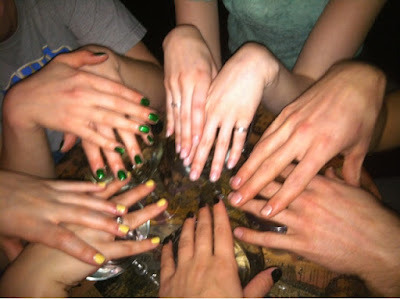 A friend of mine found a Groupon to a place called The Beauty Bar. At the last minute, three of my girlfriends and I (plus Drew, a guy friend of ours. 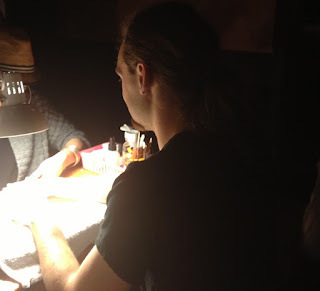 Who is straight, btw) went to Denver to try it out! 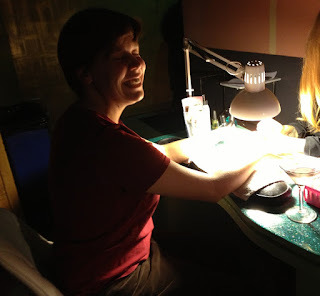 The Groupon itself was good for one drink and a mini-manicure--two for one, I think. Normal price is $10 for one drink and manicure, so it's not expensive normally. But be sure to bring some cash to tip the bartender and the manicurists! Ours were all wonderful and sweet! 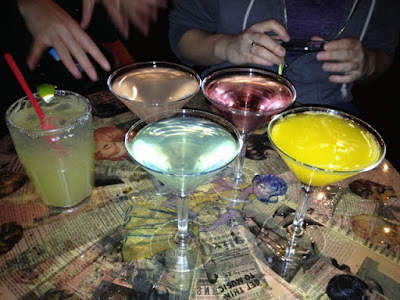 They have a few different, tasty, and colorful martinis to choose from. And they have two manicurists come in during the evenings (until 10pm) to do your nails! 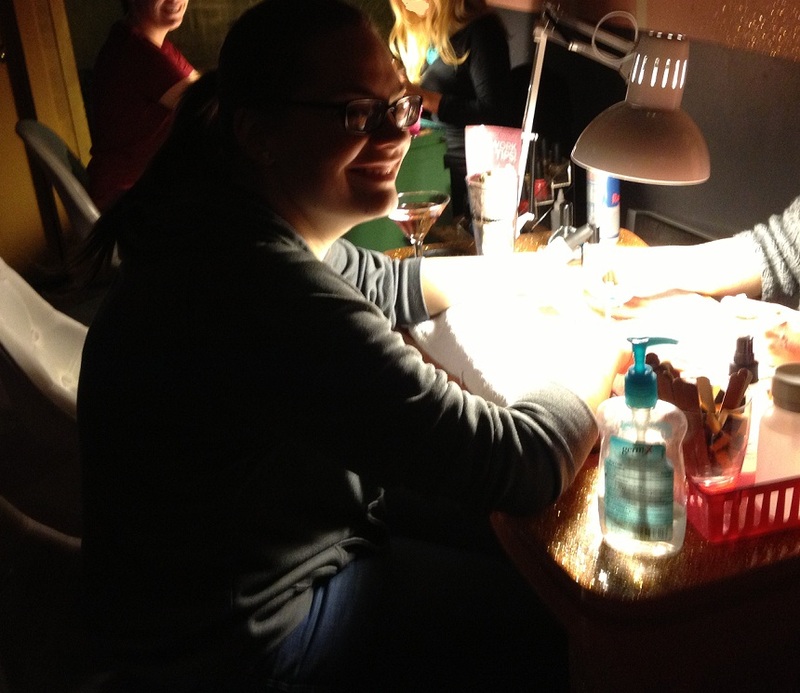 Here we all are, "gettin' our nails did!" 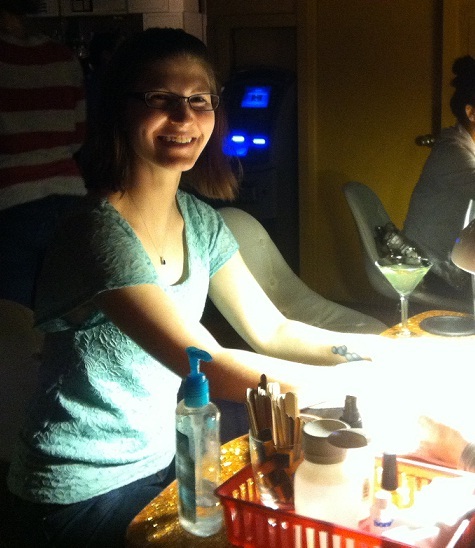 The Beauty Bar has several different locations besides the one in Denver: New York, San Francisco, Las Vegas, Austin, Brooklyn, Chicago, and Dallas! Check out their website link above! We all had lots of fun. I think Drew even had a good time. Afterwards, we went to meet a couple other friends for dinner. All around, I would say it was a successful evening! It was nice to feel pampered and girly for a while. Super fun! David Bowie's "The Next Day." Happy First Birthday Positively Miscellaneous!